Scrappy Applique is my signature raw-edge technique that is fun and approachable for beginners and experienced quilters, alike. Learn how to take tiny scraps of fabric and turn them into gorgeous appliqué pieces. Shannon's technique is quick and simple to learn, yet allows for a lot of creative possibilities. It is a perfect workshop for quilters of all levels -- beginners to experienced. Since the Scrappy Appliqué process is the same despite the template chosen, each student chooses their favorite template/pattern, and we go through the whole process together. Every student's project is totally unique, and it is so much fun to see what everyone creates! Check out the blog post I wrote about my in person Scrappy Appliqué Workshops (includes some prep instructions for students attending). 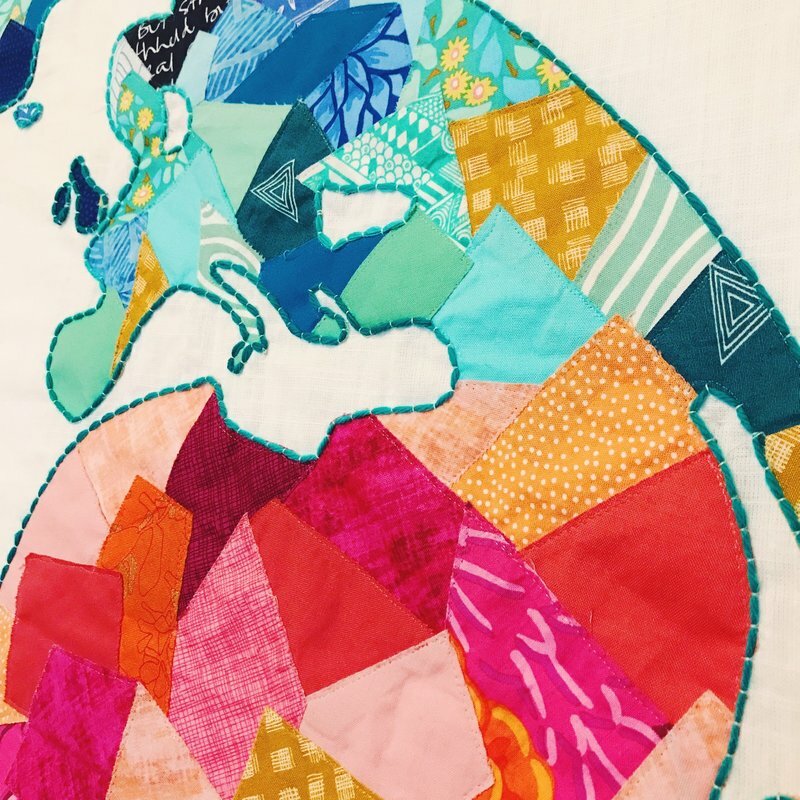 Students must have a pattern to work with: it can be one of Shannon's from her book, one of her available patterns for purchase, or from one of their choice. While Shannon's book and patterns are optional purchases, attendees must have some minimum supplies which are outlined in the detailed supply list for this class. Attendees may purchase any combination of Shannon's book, pattern(s) and Applique Supply Kit at a discount from her during the Quarterly Meeting, at one of her workshops or in-advance from her website. If you wish to purchase in-advance, please contact Jeanne Spala for the discount code. In this content and technique-rich workshop, students choose one of Shannon's appliqué templates (or they can bring their own) and finish that same shape using each of the different appliqué finishing options that we'll learn. This workshop is fun and appropriate for beginners and experienced appliqué quilters, alike. It also pairs perfectly with my Scrappy Appliqué Workshop. ​See the Quarterly Meeting page for information about Shannon Brinkley and her Thursday lecture.